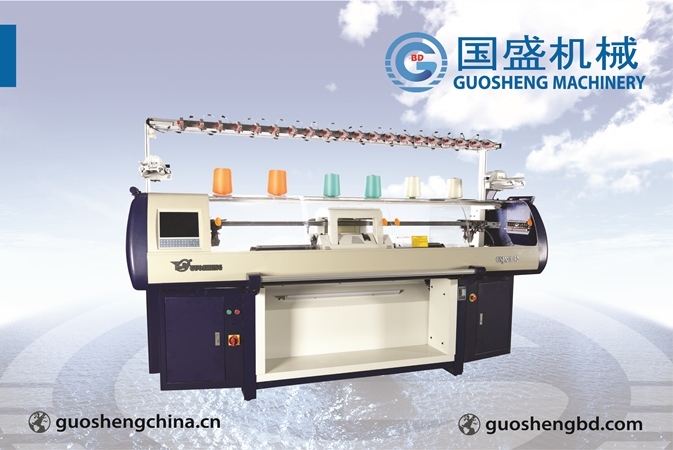 Guosheng (BD) Ltd. is the chain of Changshu Guosheng Knitting Machine Co,. Ltd. We started in Bangladesh Since 2001 with manual machine. Then we have started Jacquard Machine (Computerized flat knitting machine) from 2011. Till now we are highest seller in Bangladesh. 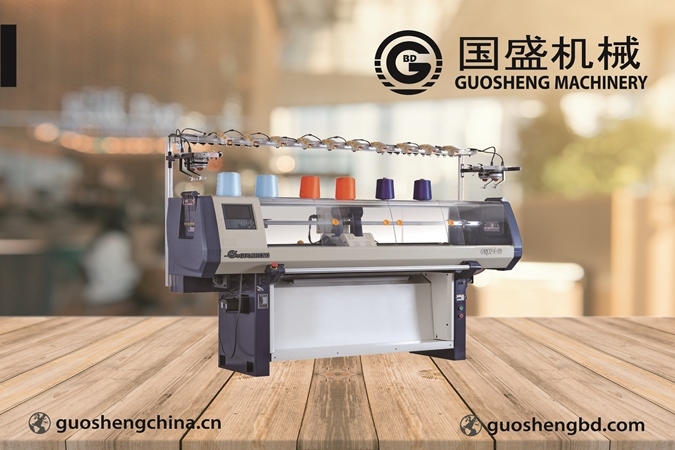 Guosheng Believes “No Service No Sale” that means “Service is our first Priority” Guosheng always try to provide customers High Quality Products that can helps to make more profit his/her Business & also maintain Good Relationship with Customers and Buyers. 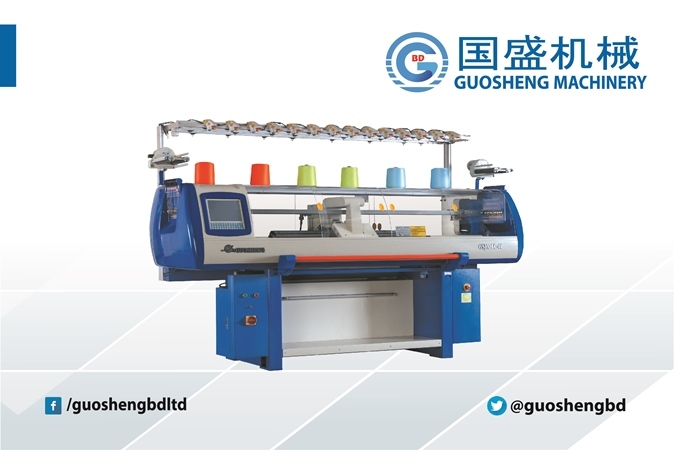 Guosheng (BD) Limited is the chain of Changshu Guosheng Knitting Machine Co,. Ltd. After Sales then we give support our customer from Bangladesh Office only for Bangladehsi Customers. Also we sale Spare Parts also what we make from China Manufacturing Unit as per Machine Demand. This is a long story when we started journey in Bangladesh that time Automatic machine is not availbale in market. Every factory suing manual machine that time kill and need more people also order less. Now day by day Bangladeshi Market understand the Automation demard as per Buyer Requirment. Service is our first priority. 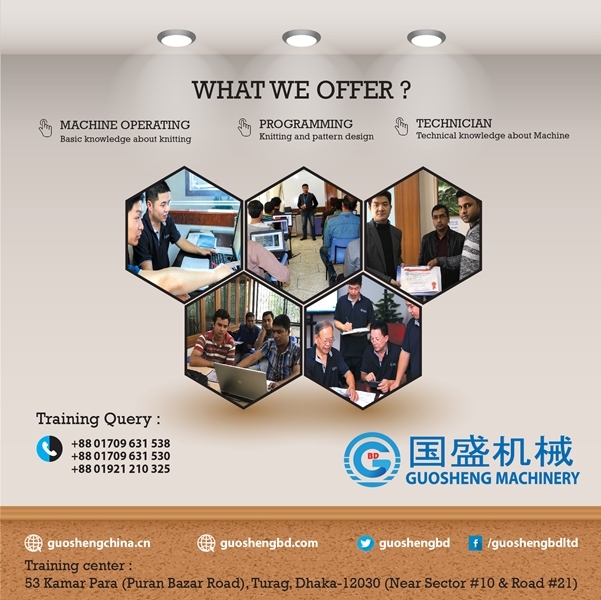 We have the most well organized team in both Chinese & Bangladeshi technical experts. We have available Chinese expertise those who are always in a move towards our valued user for ensuring the best service. Our service is our Motto. We will continue to create new value for the future and offer it to the world through essential recharge. "Day in and day out “diligently toward the realization of our goal of becoming a company with global presence. 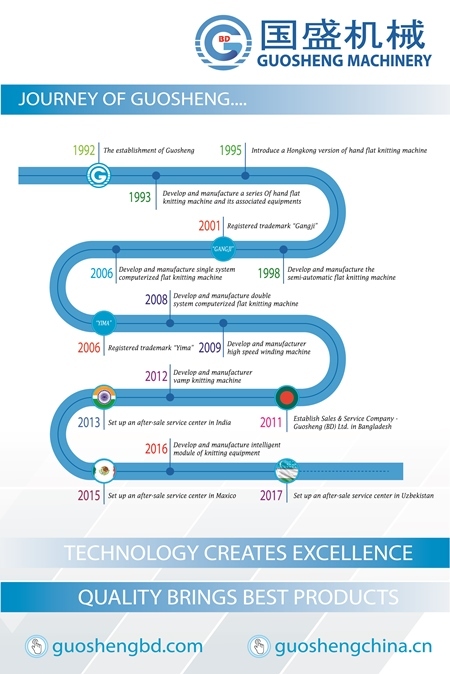 To fulfill our vision of becoming the "Proud Global Guosheng", our employees around the world are doing their almost to maximize corporate value and delivered customer satisfaction. Knowledge is Power. Knowledge never stop in one door. It's always moving one door to another door. Yes we have sharing knowledge about automatic machineries. In Bangladesh we provide after sales service that mean when customer bought our machine then they will get support from Dhaka Office. We Provide skill aslo. We have a Skilled development center in Dhaka, Bangladesh. Where anyone can come & increase their knowldge about automatic machine. 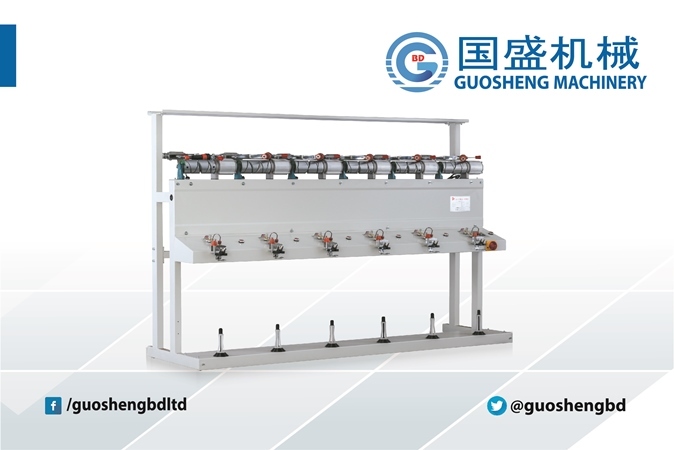 After finished Basic Training about Jacquard Machine then we provide his/her advance training in china as per company policy. He will be more innovative and skilled also. We create a opportunity for student cause we believe todays student future leader of country. we are tring to give them this opportunity for his/her better future. 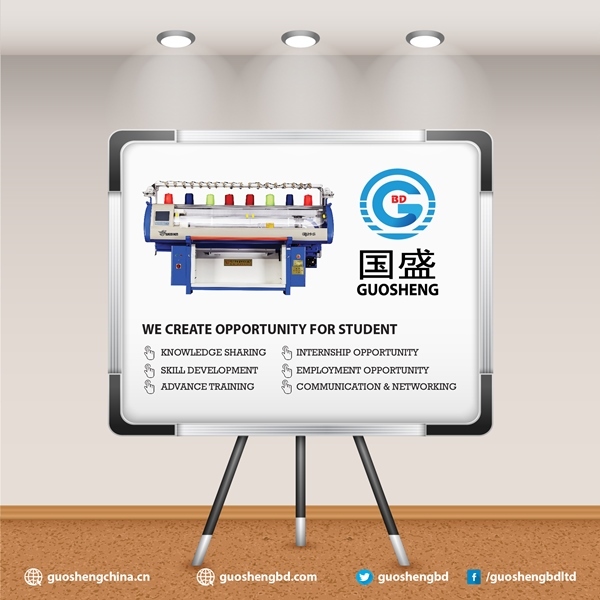 If any studnets or any employees confirmed us that he have excellent knowledge about automatic jacquard machineries we can offer Job easily. 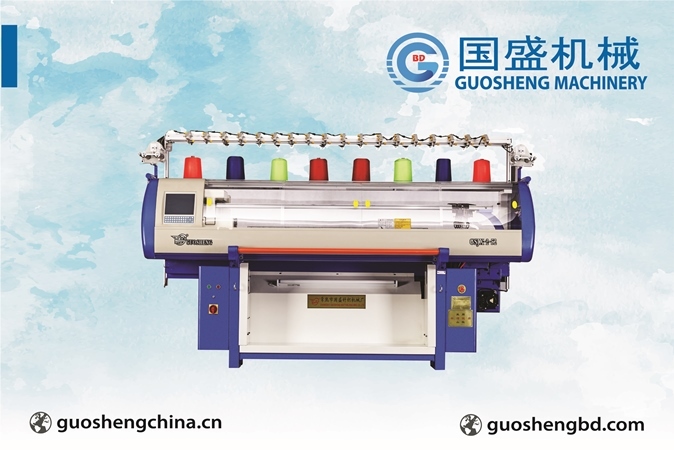 we have started Jacquard Machine (Computerized flat knitting machine) from 2011. 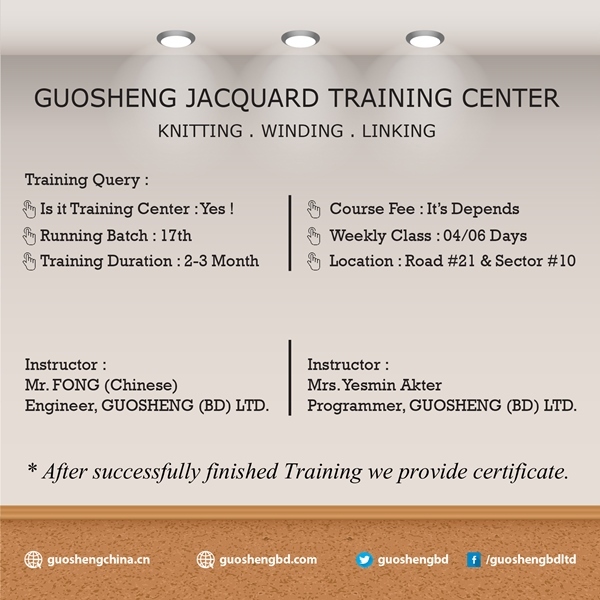 Established Sales & Service Company Guosheng (BD) Limited in Bangladesh. ALSO WE WILL SHARE OUR ALL UPDATES IN SOCIAL MEDIA ALSO. 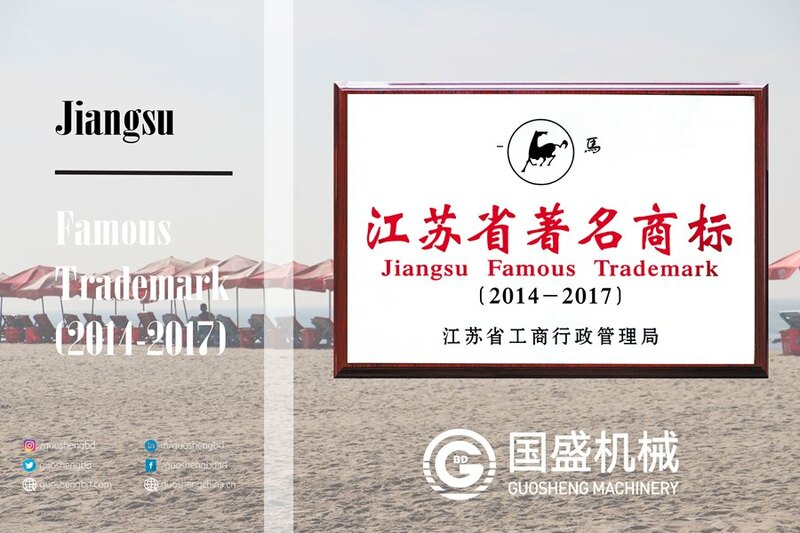 This is the certificate about Jianshu famous trade maek where guosheng earn this achivment 2014-2017 for excellent performance.There is lot of achivement of Guosheng since 1992. 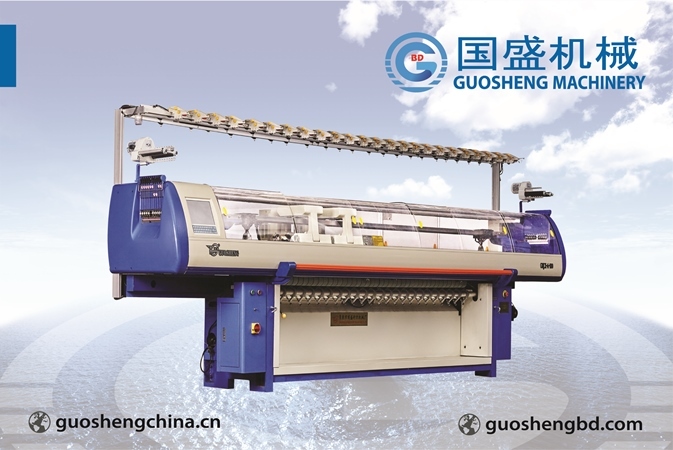 This is new innovation of Guosheng Machineries. 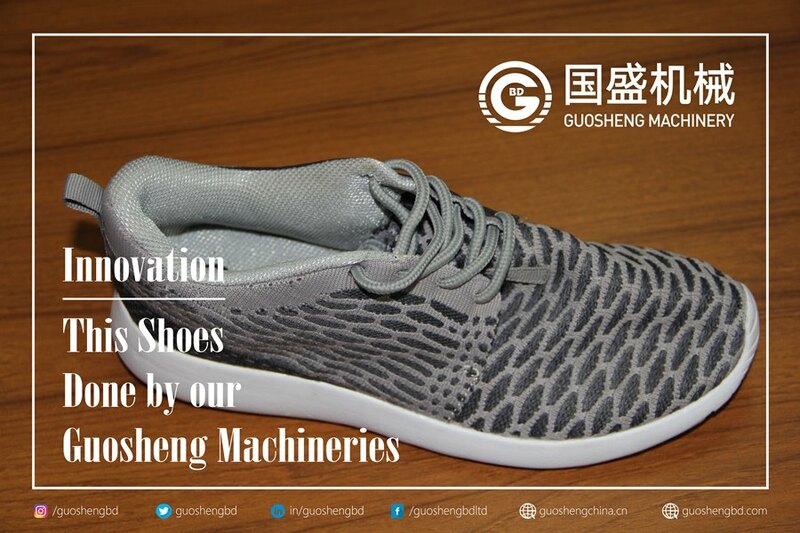 Beside Sweater Machine now guosheng making shoe machine also. Day by day we developed our teachnology. Soon we will launch in Bangladesh also. 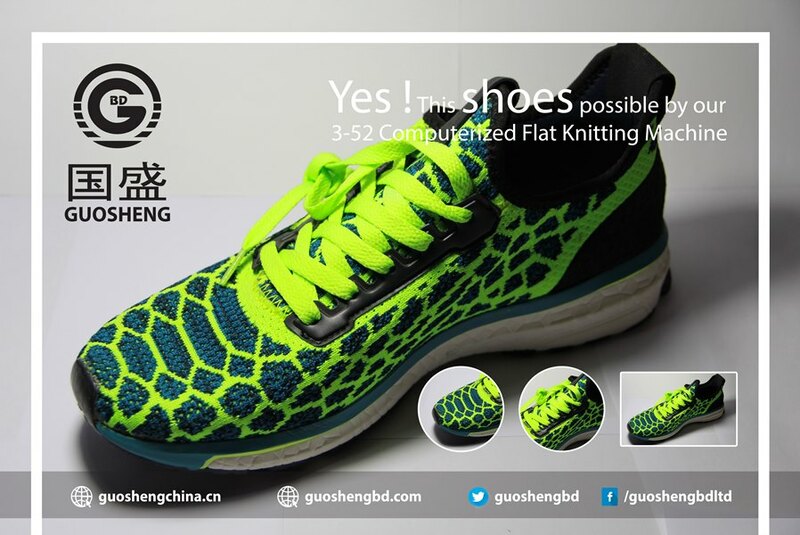 Guosheng always thinking new innovative cause we have excellent Research and Developement team in china, who always thinking and developed technology as per customer & country requirement. CHINA OFFICE : NO. 16, Bi Xi ROAD (E), Bi Xi New Area, Changshu City, Jiangsu, China.